Aguamar water park is located just behind Space night club in Playa Den Bossa and makes a great day out for young and old. There is a wide selection of water slides to choose from, ranging from the gentle glide of ‘Super Tobogan’ to a rapid decent in the dark of the ‘Black Hole’. Something that makes things even more interesting are the double inflatable rings that are available for several of the slides. The slides are all great fun as they are, but being able to go down the ‘Black Hole’ with someone else does give it an extra element. If you are looking for something to do with the entire family then Aguamar is the place. Your kids will tire themselves out from all the long climbs to the top of the slides, ensuring that you have a peaceful evening. However don’t be mistaken by thinking this is only for the children. This was a mistake that I have made in the past and although I have lived on the island for some time had dismissed the water park as not for me. However after my visit for ‘research purposes’ will defiantly be a regular visitor. I have a friend in his mid thirties that had to come back down the stairs of the ‘black hole’ twice due to it looking slightly scary. 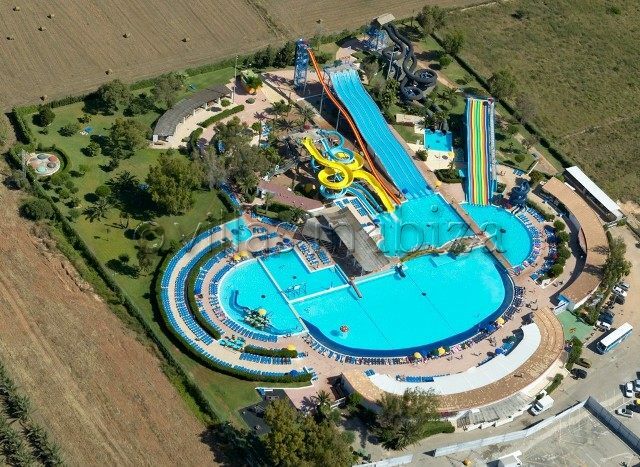 The only downsides to the water park are that there is no real swimming area and if you want a locker it will cost you 5€ plus a 5€ deposit. 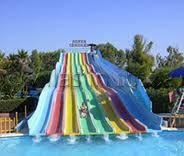 Then again, there is no real need for a swimming area with so many different slides to choose from. The park is generally fairly busy, but again with a large selection of slides, the queuing is minimal. There is a restaurant area in the park that is fairly reasonably priced but there are also picnic benches towards the back of the park so a packed lunch is also an option.